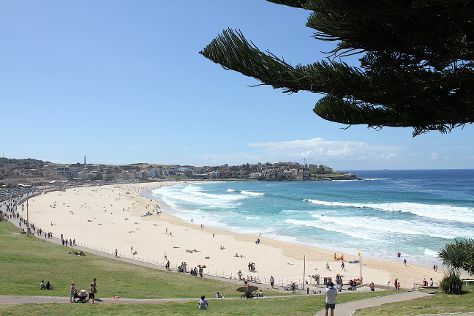 On the 16th (Thu), hunt for treasures at Sydney Fish Market, then enjoy the sand and surf at Bondi Beach, and then wander the streets of Darling Harbour. Get ready for a full day of sightseeing on the next day: take a stroll through The Rocks, then snap pictures at Sydney Harbour Bridge, then don't miss a visit to Sydney Opera House, and finally take in nature's colorful creations at Royal Botanic Garden Sydney. Kuala Lumpur, Malaysia to Sydney is an approximately 11-hour flight. Due to the time zone difference, you'll lose 2 hours traveling from Kuala Lumpur to Sydney. Plan for colder temperatures traveling from Kuala Lumpur in May, with highs in Sydney at 24°C and lows at 14°C. Finish your sightseeing early on the 17th (Fri) to allow enough time to travel to Melbourne. Shop till you drop at Bruno's Art and Sculpture Garden and Melbourne Central. Take a break from the city and head to Royal Botanic Gardens and Melbourne Zoo. You'll find plenty of places to visit near Melbourne: Art Gallery of Ballarat (in Ballarat), Yarra Valley Chocolaterie & Ice Creamery (in Yarra Glen) and Daylesford (Stony Creek Gallery & Spas). The adventure continues: wander the streets of Degraves Street, browse the exhibits of Australian Print Workshop, view the masterpieces at Original & Authentic Aboriginal Art, and take in nature's colorful creations at Fitzroy Gardens. For maps, photos, where to stay, and more tourist information, read Melbourne trip builder tool . Traveling by flight from Sydney to Melbourne takes 3.5 hours. Alternatively, you can do a combination of flight and shuttle; or drive. Traveling from Sydney in May, things will get slightly colder in Melbourne: highs are around 20°C and lows about 9°C. Wrap up your sightseeing by early afternoon on the 21st (Tue) to allow enough time to travel back home.